Just looking at the numbers, cancer kills hundreds of thousands of people in the United States every year. This is devastating, and paints a bleak picture, but it’s not the complete picture. The likelihood of a person dying from cancer has, in fact, steadily decreased since the 1990s. Plus, the five-year survival rates for cancers such as breast, thyroid, and prostate, are now over 90 percent. The five-year survival rates for ALL cancers is now around 66 percent. — How much the cancer has spread. 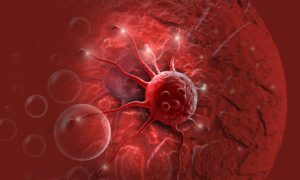 Cancer cells do consume more glucose than normal cells, according to research, however, no studies have concluded that eating sugar would make the cancer worse, OR that cutting out sugar will shrink cancer. While sugar may not have a direct effect on cancer cells, a high sugar diet is bad for overall health, which may increase your risk for developing cancer. At one point, artificial sweetener Sweet ‘n’ Low included a cancer warning about it causing cancer in laboratory animals because early studies showed that cyclamate in combination with saccharin caused bladder cancer. The warning has since been removed, however. Later studies have NOT provided clear evidence of a correlation between using artificial sweeteners and developing cancer (though it’s probably best to stay away from artificial anything in the interest of good health). The following artificial sweeteners are approved by the FDA and considered safe for human consumption. It may seem a silly question, but this is a common misconception of cancer. Cancer is not a contagious disease. The only way where cancer might spread from one person to another is a tissue or organ transplant from someone who had cancer in the past. But even if that situation, the risk is extremely low and doctors avoid the use of tissue or organs from donors who have a history of cancer. While the National Cancer Institute (NCI) says there is no convincing scientific evidence to support the theory that a positive attitude promotes good health, helps prevent cancer, and even helps cancer patients more successfully fight the disease, we still believe staying positive (but realistic) is the best attitude to have. Just because there is no physical evidence doesn’t mean a person won’t benefit from having a positive outlook. There are studies that suggest complementary or alternative therapies may help patients deal with cancer treatment side effects, but there is no conclusive evidence that herbal products are an effective cancer treatment. Some may even be harmful if taken during conventional cancer treatment. Alternative options should always be discussed with one’s doctor. Not always. Even if a family member had or has cancer, it does not necessarily meant that you will get it too. Only about five to ten percent of cancers are caused by inherited harmful gene mutations. In families WITH an inherited gene, however, multiple family members may develop the same type of cancer, should they develop cancer at all. There is no need to go through life in fear of cancer. Leading a healthy lifestyle is your most effective method of cancer prevention and being well-informed about your family health history is another. The more you know, the best you can safeguard your health. With reveal23’s genetic testing kit, you can raise your own awareness about any potential inherited cancer-predisposing mutations. To learn more about us or to order your kit, visit our website at http://reveal23.com/.